Many other hospital surgeries were put on hold so Friday’s ward round and outpatient clinic was a catch-up to see what still needed to be done. Perhaps that is why there are 15 cases on the general surgery operating list for next Monday! It is apparent that visiting teams, though achieving good outcomes, do place considerable pressure on the recipient hospital with regards to resources, funding and manpower. Consequently the HAH staff who worked really hard during the 10 days were all somewhat exhausted on Thursday afternoon and eventually called a halt to work half way through the afternoon. However they still had meetings to attend. 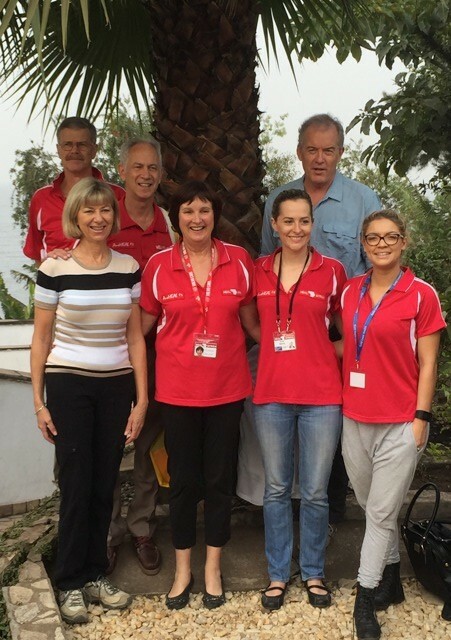 It is only being here for longer periods of time and seeing the effect of visiting teams that Neil and Gwen Wetzig are appreciating more the effect that AusHEAL teams visiting since yearly 2006 have on the hospital both from a positive and a negative effect. It will be a challenge to assess how teams can be facilitated in the future while minimising the pressure on the local system. On another note, Louise Arvier made some good connections between the HAH Physiotherapy services and local disability support agencies. The rate of disability, in particular Cerebral Palsy, in the Goma area is increasing. The standing of physiotherapy in the hospital has been raised. 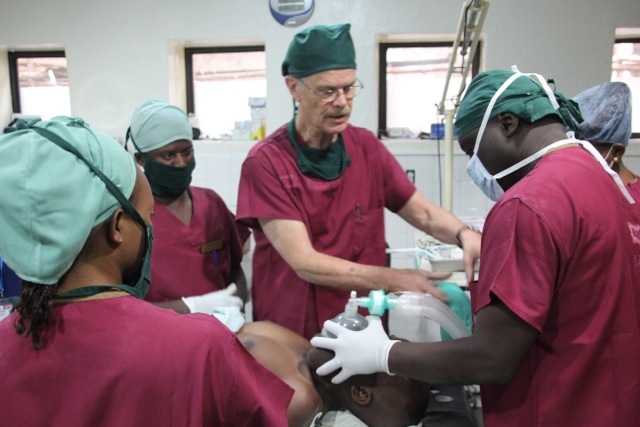 A goitre clinic was held on Friday as well with 20 new cases and still 15 to see. 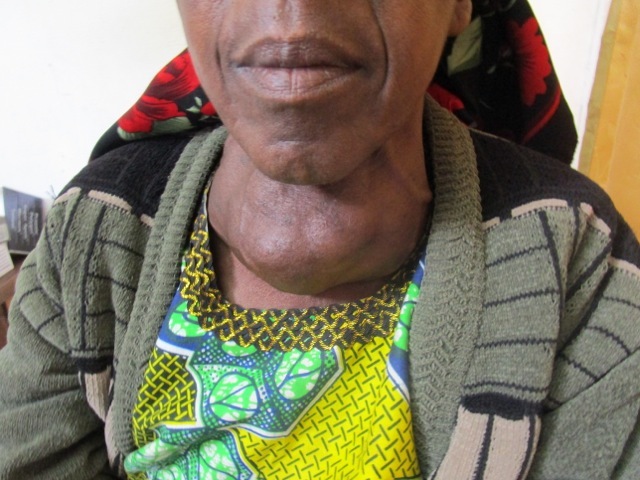 Goitres [thyroid enlargement] are an ongoing problem at HAH due to the lack of funding for medical care. 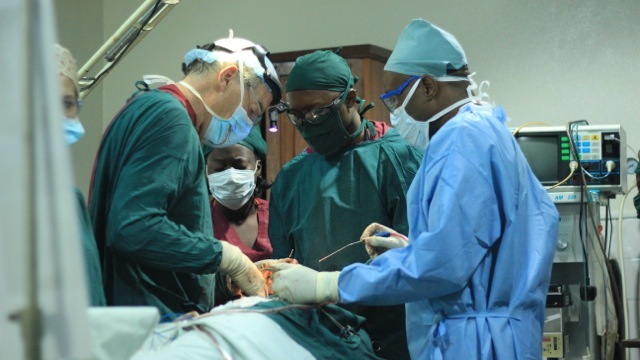 There is only AusHEAL funding to cover 5 cases for surgery, so many patients are disappointed. It was however an excellent teaching situation for HAH doctors as patients need to be triaged and prioritised. Another highlight of the week was the visit of the African Regional Manager of the CURE Club Foot Programme, Linda Hansen. Although in no way connected directly to AusHEAL, Linda is a Brisbane Occupational Therapist and a friend of Neil and Gwen. Linda has guided the implementation and ongoing management of a Club Foot Programme in 12 African countries over her 5 year tenure. 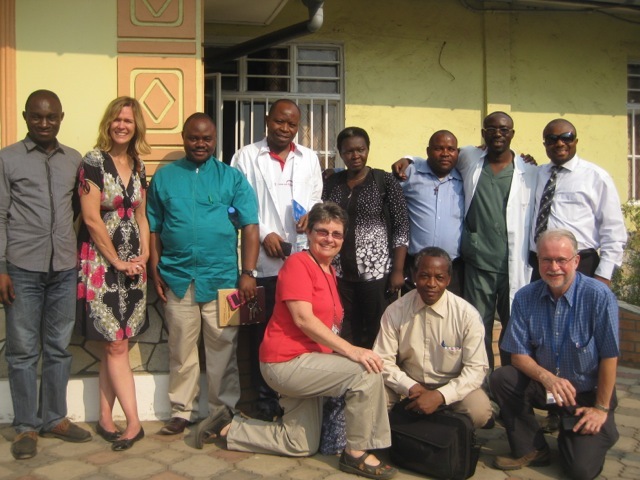 HEAL Africa is the preferred provider of the CURE Club Foot Programme for DR Congo. 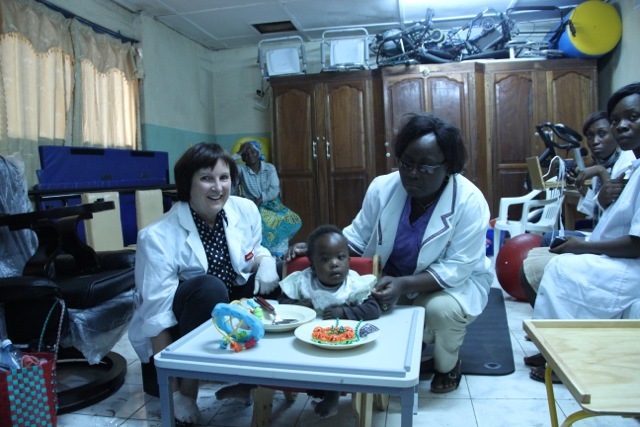 With 5000 babies born with club foot per year in DRC, it was encouraging to hear Linda state how well the HAH staff are doing with their programme. It was a special week having Linda around HAH and seeing how she works so well with the local staff. The week has also seen a slight increase in security activity well outside Goma. There has been an increased UN and Congolese army presence. 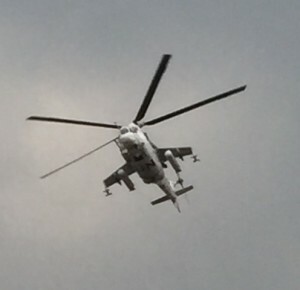 Low level helicopter sorties during the day and night have been a notable feature but Goma itself remains very peaceful and no casualties have attended the hospital. The next AusHEAL nursing teams arrives on Tuesday 18 August and the HAH nurses are expectantly awaiting their arrival.